Listening to the sound of the waves at the Wave Organ in the Marina district, San Francisco. Golden Gate Bridge from Russian Hill. Photo by Will McGough. Forget Fisherman's Wharf, sourdough bread, and the Golden, Gate Bridge. San Francisco's real charm lies in its quirky local underbelly. San Francisco's loose coalition of independent fiefdoms or unique neighborhoods each possess their own character, unique attractions and in these neighborhood districts, the pulse of San Francisco is most audible. From the Castro to North Beach, the Mission to the Haight, the city is a patchwork of diversity and hidden treasures. Alter your viewpoint slightly, get local and discover a whole new city. There is so much to explore in this city, you might want to take a local tour with a local guide. Some of the unique attractions of San Francisco are found deep inside the neighborhood districts. After you've seen the main tourist attractions elsewhere in the city, check out these unique, unusual and very local finds. THE CASTRO The universal capital of "Gay Nation," the Castro caters heavily to the homosexual male crowd that tends to hang out here. The district hops with revelers all night and hordes of shoppers all day. You'll know you're in the right place when you see the towering rainbow-colored flag, the Castro's emblem of gay pride. Campy outfits, wigs and bare skin are more than welcome here. But the Castro's cafes, shops, and other unique attractions also make it a good stop for the straight crowd. One of the Castro's flagship hangouts, Flore offers a pleasant flower-draped patio where the crowds come to see-and-be-seen.ð A frothy cappuccino is a perfect way to end a day of cruising the Castro. Coffees, light fare and desserts are also worth the wait. Catch a flick at this beautiful, 1930s Spanish colonial movie palace. It's worth a visit just to see the classic baroque design, organist who plays nightly and extra- large screen. Tucked in a quiet residential neighbor, this 35-foot slide is a gas for kids and adults alike. The neighborhood is also known for its cutesy cottages and gorgeous flower gardens. 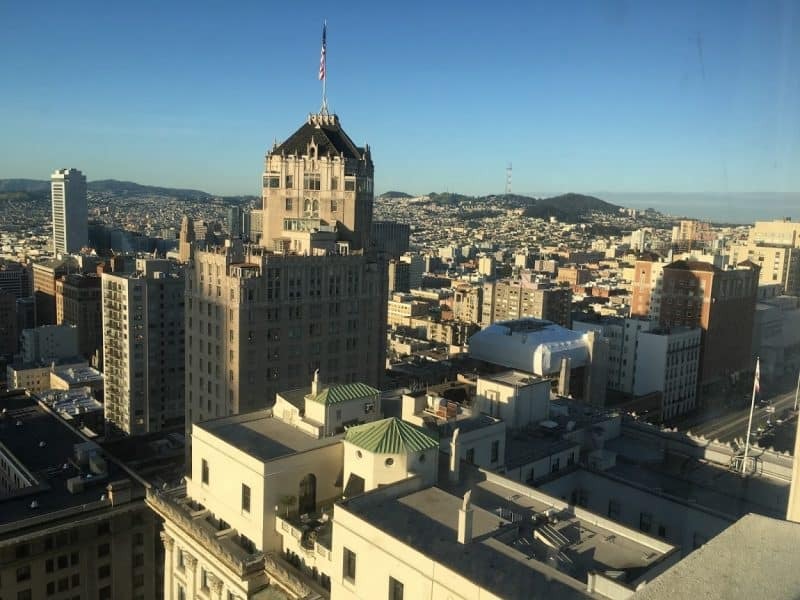 San Francisco as seen from the iconic Fairmont Hotel downtown. Max Hartshorne photo. San Francisco's Chinatown is legendary: it's the largest Chinese community outside of Asia. Though this neighborhood is flooded with tourists and shops that cater to them, the food is great and elements of authentic Chinese-Americana can still be found. An excellent first stop before checking out the sites, the C.C. center offers tours of Chinatown and hosts an historical museum that documents the often difficult history of the Chinese in the West. Outdoor Markets Kitsch and just plain bizarre gifts abound in the sidewalk tables lining Chinatown's walkways. Take some time to examine the exotic animals and off the wall imports. Grant Street has the best wares. What's lacking in square footage is compensated for with character. Buddha's bartender/part-owner Mark is a Chinatown legend who willingly wallows in pathos after a few drinks. Surprisingly, there are few Buddhas to speak of at Buddha Bar, save the portly, hapless proprietor himself. Darkly lit, dressed up with a flower-laden Buddhist altar, red carpet and stools, Li Po is a low-key lounge true to its neighborhood. A balanced mix of Asians, tourists and after-work drinkers hang out here. Given the premium on space in S.F., few people can afford to have a backyard. Golden Gate Park is everyone's garden by default. And what a yard it is--four miles-long and a half-mile-wide, this natural wonderland in the heart of the city includes Dutch windmills, bison, botanical gardens, mountain biking paths and ocean beach. Few people would guess that the buffalo roam in the heart of northern California's biggest city--but indeed they do. These stoic beasts have been in the park for over 30 years and graze in a vast paddock near the west end of the park. San Francisco's Venice Beach, this is where bygone 70s-era roller-kings and queens now strut their stuff. A few stunt jumping roller bladders and BMX bikers are also in the mix on some Sundays. This restored beachfront building offers stunning views of the Pacific, especially at sunset. Microbrews and seafood appetizers are the best bet. Downstairs is the Golden Gate Park Visitor's Center (415) 751-2766. Haight-Ashbury is decorated with shops and cafes all with their uniquely painted storefronts. Grateful Deadheads and the Jefferson Airplane are vestiges of a bygone era. Today, the Haight is no longer living in the Age of Aquarius, and the hippies have been ousted by increasingly prohibitive housing prices. Still, a few mementos of the free-love days remain. A labyrinth of trails crisscross this hilltop park. In the summer when the fog rolls in, Buena Vista has an eerie feel; cypress and eucalyptus groves are draped in mist. 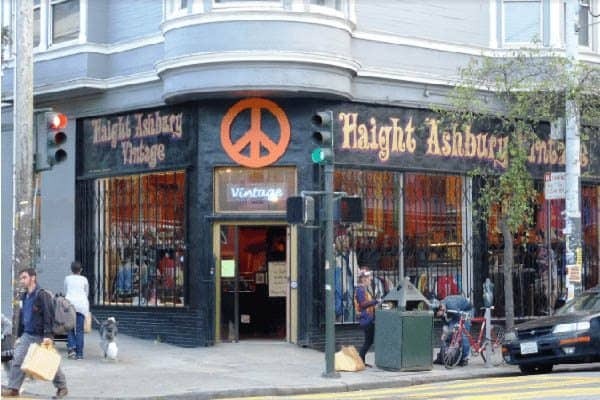 To get a sense of what the Haight-Ashbury movement was all about check out this completely free community clinic, which has delivered health care to the general public since the 1960s. Given the increasingly expensive price of health insurance, Haight-Ashbury Clinic is a God-send to San Francisco's poor and uninsured. Once considered a grungy, rundown and unsafe district, the Mission has been overhauled to attract money-spending crowds. Unfortunately, the district that was once a haven for activists, artists, students and immigrants is being gentrified rapidly as renters willing to pay up-market prices move in and neighborhood regulars are pushed out. Still, the Mission is distinctly Latino, and many counter-culture and community organizations are fighting to keep it that way. The hub of the Mission District, Dolores is where all of San Francisco's varied residents converge. The lamp-lit tennis courts are a favorite of the Yuppie set while the expansive soccer field is working class Latino territory. A dog park is staked out for pets from all over the city, and the upper hillside is the Castro zone, known as the "Castro Beach," where residents sunbathe daily. Don't miss the view at the corner of 20th and Church, where at sunset, the city looks like a golden Babylon bathed in soft sunlight. This 25-year-old community arts project offers walking tours of 75 of the city's outdoor murals. Many of the murals have political themes and depict issues of concern to the Latin American immigrant community. Tours are Saturdays and Sundays at 1:30 pm. On a hot afternoon, the cemetery in the rear of this Jesuit mission built in 1776 offers the perfect respite. Trees shade stone benches and gravestones show that most of the buried died between 1776 and 1900. Casualties of the Gold Rush, the first mayor and the first governor of San Francisco are also buried here. A market in the Marina district. Mary Charlevoix photo. A little taste of Europe on the edge of the U.S. West Coast, North Beach is cappuccino and beret country. Artistes galore, bookstores and outdoor sidewalk cafés define this district. The best way to experience the neighborhood is to café-hop along Columbus Avenue, where mind-altering espresso is the main draw. The nerve center of North Beach activity and the once-favorite hangout of the Beat poets. The espresso drinks are rocket fuel. Go easy. A classic North Beach venue where the camieri are straight from Roma and the food is typical Italian trattoria fair. The exuberant staff often break into song and dance when a favorite Italian pop tune hits the radio. 1950's Italy is the theme here complete with old-school espresso steamers, jukebox and red vinyl booths. An excellent place to chatter away the evening. Art and lots of it. MOMA and Yerba Buena are world-class museums that merit a solid day. New nightclubs and bars have recently flooded the SOMA neighborhood, chiefly a business district. Soak up some culture and then vegetate in the nearby Yerba Buena gardens. The MOMA has made a name for itself since opening in 1995. Cutting-edge artists are often featured here, including the newest innovators in multimedia/digital art. Abstract, unusual and avant-garde tend to be the standard fare. Caffi Museo in the lobby has legendary espresso and one of the sunniest perches for afternoon tea. Across the street from MOMA is an urban oasis of greenery and fountains. Weekend afternoons the gardens come alive with free outdoor live music. The museum often has exhibits that appeal to California sensibilities. One recent example: The History of Surfing Exhibit. Behind the cascading waterfall in the middle of the park is a glass-paneled memorial to Martin Luther King. 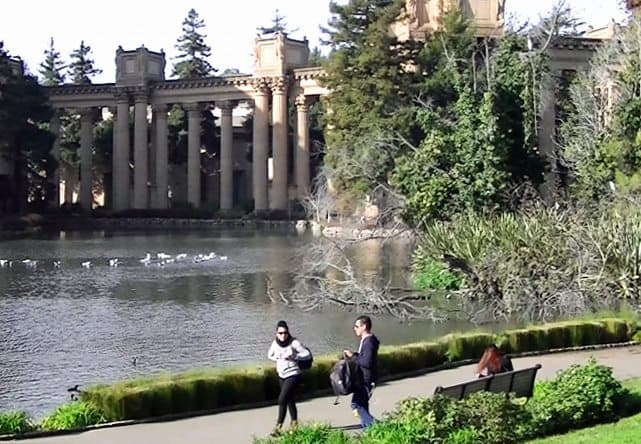 Palace of Fine Arts, Marina district. Mary Charlevoix photo. In the heart of the city's gray warehouse district is a vibrant corner of wildlife and color. Flowers grown throughout the state and the world are featured here in a two- block market. Everything from Venus Flytraps to bamboo to rare orchids is for sale. ACTIVITIES San Francisco has a wealth of natural attractions, most of them centered along the coast. ACTIVITIES San Francisco has a wealth of natural attractions, most of them centered along the coast. San Francisco has a wealth of natural attractions, most of them centered along the coast. And since the weather is almost always sunny, there's no excuse to stay inside. From hiking in Marin to hang-gliding at Ocean Beach, there are plenty of favorite local outdoor activities and outfitters to help you take advantage of one of the most beautiful coastlines in the country. 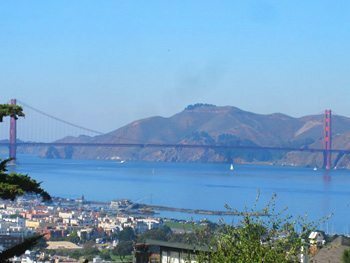 Walk the forested coastal trail from the Cliff House to the Golden Gate Bridge, and take in the breathtaking views of the bay and Marin headlands. In spring and summer, the trail is lined with a kaleidoscope of wildflowers. Bring a California wildflower guide and marvel at the abundance of foliage. Start at the parking lot just above Cliff House and head north. Spend a day with docile sea otters, sea lions and, if you're lucky, gray whales. The calm waters of the bay are ideal for kayaking and canoeing, and on warm days, the temperature is pleasant well into the evening for moonlight paddles. Head up Highway 1 on the Marin coast for unbelievable views of the shoreline. Bolinas, a tiny 60's hippy town, is a great stop for lunch/dinner as well. Surfers and Haight-Ashbury refugees abound. 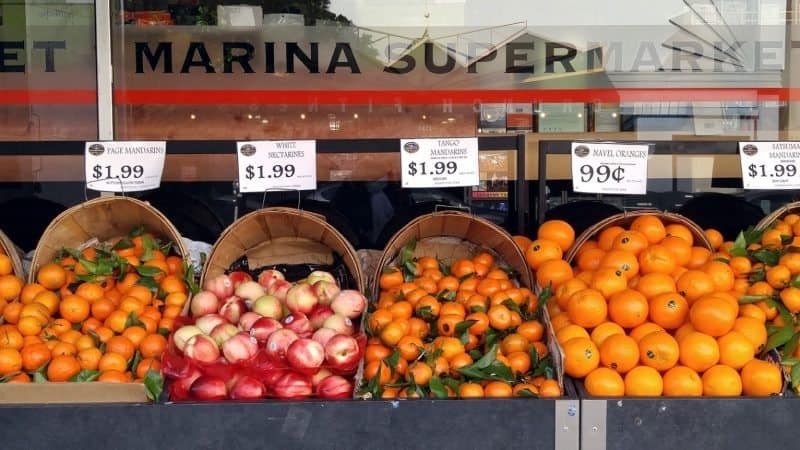 Don't be surprised if the sign directing traffic to Bolinas is nowhere to be found--Bolinas residents are reclusive and would prefer to stay as far away from fast-paced San Francisco influences as possible. San Francisco's backyard of sorts, the Marin Headlands are located just across the Golden Gate Bridge to the west and offer not only the best views of the city, but also a wealth of outdoor activities. Bird watching, hiking, mountain biking, horseback riding and more are all fair game at this glorious national recreation area. Don't miss the Marine Mammal Center, a ward for injured or abandoned seals (cute little buggers) and sea lions. Rent equipment or take lessons on this picturesque urban lake. Stop in for a beer at the boathouse bar afterward, and enjoy great views of the lake. San Francisco has no shortage of charming inns. Forego the blasé hotel room option and go for a cozy bed-and-breakfast experience instead. This charming North Beach favorite was a Beat Generation hangout in the 50s. Small rooms and bathrooms, but one classy perk is the free sherry in the lobby in the evenings. $119/ double, credit cards welcome. This inn has amazing views of San Francisco Bay. Special packages are available that include massage and champagne. $200-400/ double. In the heart of the Castro District, Willows is charming and cheap. Antique furniture and cozy interiors make you feel like a guest in grandma's cottage. Breakfast is served every morning. $82 - $120/double. A 12-room, 1875 Victorian manor recently restored to its former glory. Located in the center of the Mission District. $79-109/double. A Buddhist meditation retreat and organic farm in the heart of Marin, Green Gulch is a lovely place to disappear for a weekend. Group meditation workshops, speakers and gardening classes are available. The center is also a short 20-minute stroll from the beach. Day visitors are welcomed on Sundays. Serves up authentic soul food in a walk-in barbecue atmosphere. Dungeness Crab in huge quantities. Try the roasted or wine and butter steamed varieties. One of San Francisco's best, yet most reasonably priced restaurants. Don't miss the mussels or garlic prawns. A Chinatown landmark that recreates imperial Chinese decadence. Dim Sum and regional Chinese specialties offered daily. The rooftop dining room/lounge has views of Telegraph Hill. San Franciscans are passionate about their trademark hefty and cheap burritos. One resident even put together a website www.sfburrito.com that reviews the city's taquerias one by one. Located near the sailboat launch in Marin, this famous restaurant was a pioneer in gourmet vegetarian cuisine. If you like veggie, this is the place. All ingredients come from Green Gulch Organic Farm in Marin. Almost any month of the year, there's an eclectic event going on in the city: it's part of what makes SF such a great place to visit. Winter is quiet, but throughout the spring, summer and fall, the city's neighborhoods heat up with street fairs and festivals. Favorite local events and festivals worth traveling for including the Castro's Halloween Parade, a madcap creative scene with men in Carnival-regalia, 19th -century madams with white powdered wigs, pharaohs and slaves. You name it: the mixed gay/straight crowd revels in costumes of wild imagination. San Francisco's Chinatown is THE place to celebrate the Chinese New Year. As the largest Chinatown in the US, the January parade works hard to live up to the title. It's noisy, it's colorful, it's unavoidable. The festivities paralyze downtown for the day with firecracker salvo and wandering puppet dragons. If hunger strikes, top notch Dim Sum is rolling all day throughout the district. Shopping in Chinatown, San Francisco. Max Hartshorne photo. And of course, San Francisco International Film Festival is a must-see. Started 43 years ago, this April cinema-fest is America's oldest film festival and features more than 200 films and videos from more than 50 countries. Entries include new films by beginning and established directors and the awards ceremonies often see renowned honorees join the festivities. Tickets are relatively inexpensive and screenings are very accessible to the general public. Screenings are at the AMC Kabuki 8 Cinemas, at Fillmore and Post streets, and other locations. San Franciscans are incessant whiners about their city's weather. Mark Twain is said to have quipped that the coldest winter he ever spent was a summer in San Francisco. It's true: summers are cool and windy. But the upside is that the temperature fluctuates minimally year round (average temperature is 57 degrees F). The warmest and driest months of the year are August, September and October. November to March can be wet and windy, so bring warm clothing and rain gear for all seasons. All major U.S. and many international airlines fly into San Francisco. Amtrak and Greyhound also serve the city. San Francisco is an easy city to get around. Walking, trolley cars and local buses are the most inexpensive ways to see the city close up. Taxis are readily available, but pricey. If you plan to stay within the city limits, a car is unnecessary and navigating the unmarked one-way streets, congested traffic and parking may turn out to be more hassle than it's worth. If you are going to venture to towns beyond the city limits, renting a car is a good bet.All the major U.S. car-rental agencies have branches at the airport and in town. There are thousands of ATM machines located all over the city and in each neighborhood. Most accept all bankcards and credit cards. Banks are open 9-5 weekdays. Offers free access to clients. Alter your return date or inquire about your next vacation to get a free 15 minutes. San Francisco is, for the most part, a very safe city. The Tenderloin district near downtown should be avoided, especially at night. South of Market is a little dicey past Howard Street and towards the waterfront, and the Mission district near South Van Ness Avenue and Folsom is often overrun with prostitutes and drug addicts. Use caution in all neighborhoods at night. The following health resources are available to the traveler. The city also has an excellent health clinic that's open to the public.